It was revealed on Tuesday that Microsoft has made only $853 million on its Surface tablet since the product line was introduce eight months ago, a number less than the company's write-down to adjust for unsold inventory, as well as an ad campaign pushing the device and Windows 8. According to Microsoft's 10-K filing with the U.S. Securities and Exchange Commission, which included the first public disclosure of how Surface is performing, the tablet lineup brought in a somewhat disappointing $853 million since it debuted in October 2012. The company accounted for sales up to June 30. Because the pricing between the Surface RT and the high-end Surface Pro is so disparate, estimating units sold is quite difficult. As noted by GeekWire, if the original $500 cost of a Surface RT was used as the average selling price, it would mean Microsoft sold roughly 1.7 million units during the eight-month period. By comparison, Apple shipped 14.6 million iPads in the last quarter alone. Disregarding units moved, the $853 million in revenue means Microsoft is losing money on its first computer hardware experiment. The amount is less than a $900 million charge the company took against earnings on unsold RT inventory. 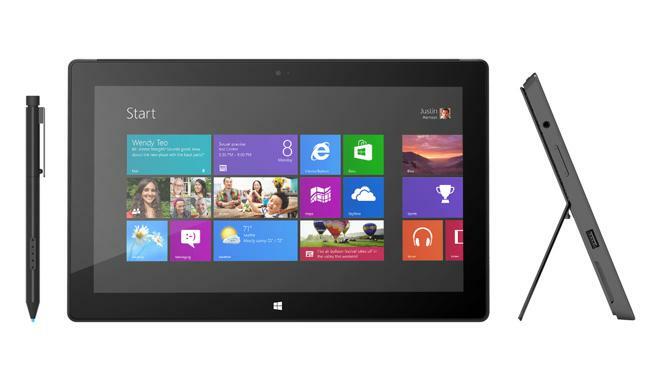 Microsoft recently slashed the price of the lower-end tablet by $150. Surface revenue is also outpaced by ad spending earmarked for the device and Windows 8, which came in at $898 million. Microsoft spent more money trying to push Surface than it made back in revenue. While the effects of the price drop have yet to be announced, Microsoft's project appears to be floundering. Even in spite of negative ads targeting Apple's iPad.